Reading is the conversion of graphemes (letters) into phonemes (sounds). Spelling is the opposite. Children learn to spell by remembering the look of some words, particularly sight words that do not make sense to ‘sound out.’ They also need to learn the sounds of letters, as well as syllables, in order to make correct sound/spelling choices when reading and spelling. As they begin to read more difficult words, they understand they must decode the letter sounds to make new words make sense, particularly when words do not relate to objects they know and recognise. This is the purpose of this workbook - it has been specifically designed as a great practice resource of many key reading and spelling skills that will help teachers understand the importance of teaching phonics and whole language approaches. 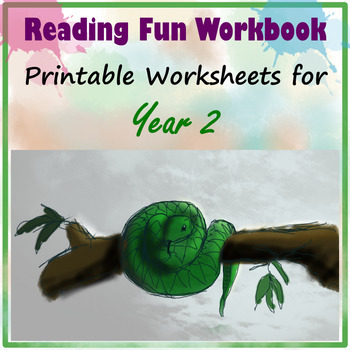 Each activity has been carefully selected to provide Year 2 children with an interesting variety of reading, spelling and vocabulary activities and is ideal for teachers to use as models for further practice skills. Spelling Rule 3 - When is the C Soft? ACELA1471 - Understand how to use knowledge of digraphs, long vowels, blends and silent letters to spell one and two syllable words including some compound words. ACELA1472 - Build morphemic word families using knowledge of prefixes and suffixes. ACELA1474 - Orally manipulate more complex sounds in spoken words through knowledge of blending and segmenting sounds, phoneme deletion and substitution in combination with use of letters in reading and writing. ACELA1823 - Use knowledge of letter patterns and morphemes to read and write high-frequency words and words whose spelling is not predictable from their sounds. ACELA1824 - Use most letter-sound matches including vowel digraphs, less common long vowel patterns, letter clusters and silent letters when reading and writing words of one or more syllable. ACELA1825 - Understand that a sound can be represented by various letter combinations. ACELT1592 - Identify, reproduce and experiment with rhythmic, sound and word patterns in poems, chants, rhymes and songs. ►Note: I am an Australian-based seller; thus, all resources are written in Standard British/Australian English and are designed to be printed in A4 format, unless otherwise stated. U.S. versions of each product will be available soon. Non-editable PDF. ►Please take the time to rate and comment on this resource so that you can earn valuable TpT credits for future purchases. As a new store owner, this feedback is especially appreciated and valuable. ►Should there be any questions or concerns with respect to any resource or program, please utilise the ‘Product Q&A’ option prior to leaving feedback so that all actions can be taken to fully satisfy the needs of all buyers. ►All resources created by Read for Success are completely original in content and design, and all artwork has been created in-house in an effort to create truly unique educational resources that inspire students to Read for Success! ♥Follow me on my Read for Success Facebook Page and Pinterest for new product info, special offers and sales and giveaway notifications. These social media sites are just getting started. I look forward to growing these websites over the next few months to better connect with my fellow teachers and store followers.